The online petition, which invites people to sign via their email address on the official UK Government and Parliament Petitions website, was launched on Wednesday March 20. Signatories must confirm that they are a British citizen or UK resident to sign. Shortly after 5pm on Friday, the number stood at 3,360,250, up from 2,668,994 when Connexion checked mid-morning on the same day. Raw data from the website suggests that more than 24,500 signatures have come from France by Friday afternoon - more than double the 10,000 who had signed earlier in the day. Reports from the website itself suggested that at some points, the petition was attracting more than 2,000 names per minute, causing the site to stop working repeatedly. The Petitions Committee, which monitors the website, said that it had to stop automatic signature count updates on the site to reduce demand. The count, rather than updating in real-time currently updates every half-hour. The Committee also pointed out in a tweet that anyone who is a UK resident or a British citizen can sign a petition. This includes British citizens living overseas. 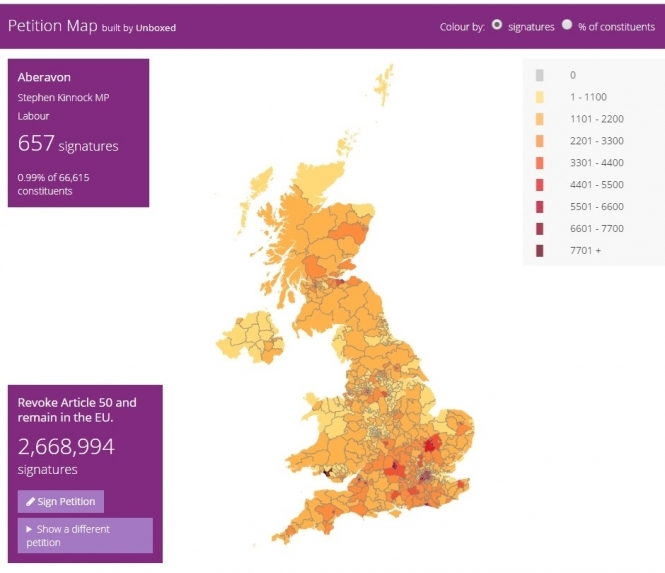 Signatures have come in from across the UK, with the highest uptake concentrated in areas that voted Remain in the June 2016 referendum - including London, Sheffield, Brighton, and Bristol. The petition website habitually offers members of the public the chance to set up petitions for causes they believe in, with the Government required to respond to all petitions that receive more than 10,000 signatures. Parliament must consider for debate any petition that achieves more than 100,000. The Brexit petition response comes just over one week before the original Brexit deadline of March 29. 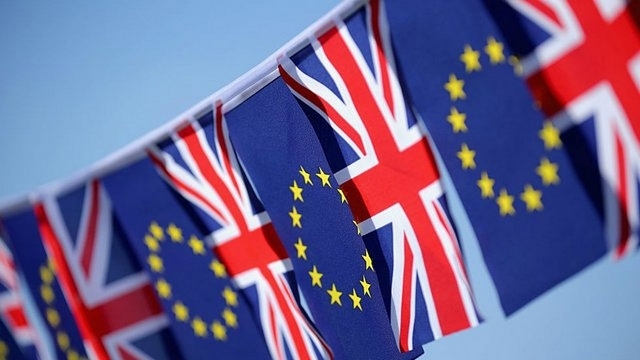 Now, UK Prime Minister Theresa May has agreed a new delay with the EU - of May 22 if MPs approve her deal next week; or April 12 if they do not. After that, the UK will either be forced to detail its next steps, or leave without a deal.